perfect size, good price and a nice density. I’ve had ones in the past that have bigger holes/spaces and while they are just as useful as ones like this that are denser they don’t last as well, falling apart after several months. This one fits nicely into my hand and is great for either quick face freshen or all over showering. Squeeze a little foam or body wash on to it and you’ll have millions of bubbles…. If you’re an artist or into home decor this is great for paint effects. For pictures they make lovely fluffy clouds and trees especially if you use contrasting, or graduating shades of colour and for walls and furniture just dip into paint, and dab lightly and you get wonderful soft effects. Either use a colour a few shades lighter of darker or ones that’s complementary and have fun. Looks like wallpaper on walls but with much less effort! 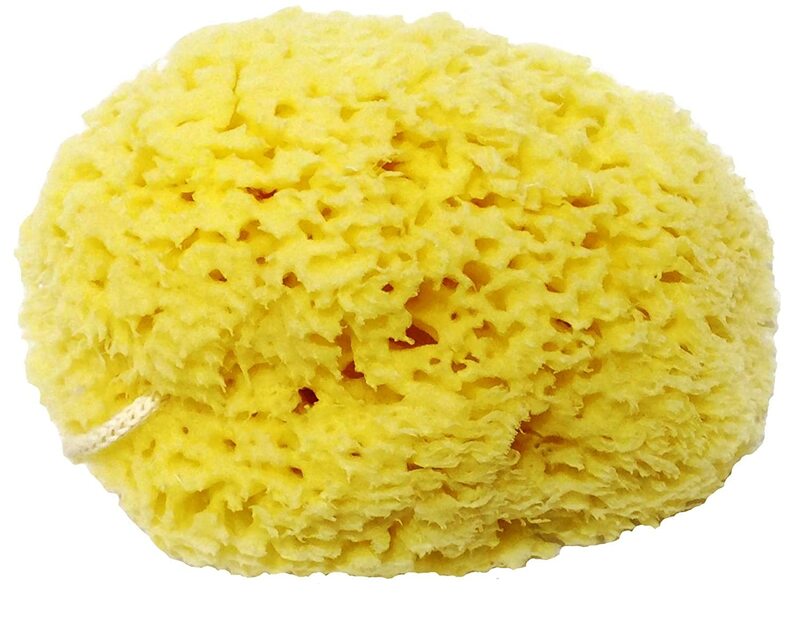 When i first tried this years ago I used a cheap synthetic sponge, tearing some random holes but it just isn’t anywhere near as good a s a natural sponge. My nan had a saying “cheap always comes dear in the end” and this illustrates that perfectly. when you’ve a room that looks like a manic snowstorm instead of subtle patterns you realise you can’t live with it, but proper sponge, more paint and take time all over again to do it properly. 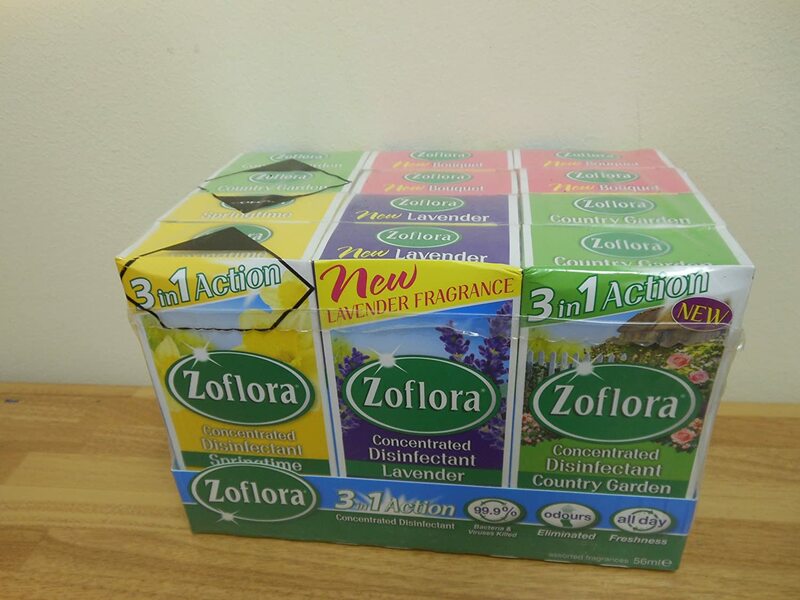 I love Zoflora, and buying it this way I have one in kitchen, one in conservatory and one in each bathroom/WC. You only need a few drops and it leaves everywhere smelling really fresh. I hate disinfectants that are so strongly pine they bring up memories of school and public loos with the pine fragrance with undertones of stale urine…. I use a few drops in a spray bottle diluted with water for surfaces and wall, a couple of drops on steam mop head for floors, a few drops neat down plugholes and shower trays and of course in the loo itself. I’ve a shower, bath, sink and loo that get rarely used and this keeps them smelling fresh instead of that stale musty smell they soon develop otherwise. was looking for some ras al hanout as I’d used the last, when this caught my eye. I’ve used it as a rub on a think piece of brisket, with a little olive oil, marinaded for 24 hours and slow cooked for six hours. It was gorgeous, lovely fragrant smokey BBQ flavour and would be great for summer BBQ with beef, lamb or chicken. Slow cooking cheaper cuts like brisket works perfectly and marinading in something like this gives added flavour. We had it shredded ( it fell apart like the ubiquitous Pulled Pork that’s everywhere now) in wraps with salad. I thickened the cooking liquid by boiling down til sticky and poured over the beef, then put everything on table and it was a quick and easy lunch. We’d been doing some house/rubbish clearing ready for moving and slinging lots in skip, recycling etc all morning so were hungry and as I’d stuck this in slow over around 7am it took about 15 mins to have lunch ready, and was so easy that its going to be one we’ll certainly do again. Cheated and used paper plates too – not for the beef but for everything else so cleaning after was a cinch. Last thing you want when you’ve been busy all morning is to spend hours preparing and serving food and clearing up after. This way I just had some cutlery, the pan used to cook beef in ( a lidded one), frying pan I used to coil down liquid and a serving dish. Simples! 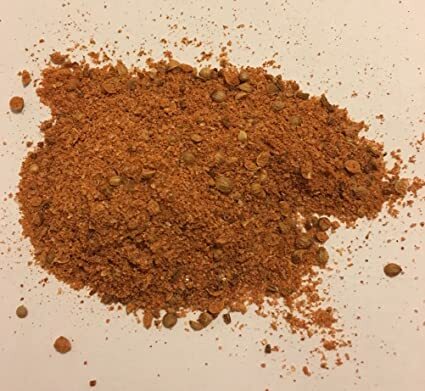 I did get the ras al hanout, haven’t used that yet but may this week, as I’ve a chunk of lamb leg and some peppers which would be perfect to make biriyani.